It’s no secret that we’re pretty big fans of adventures at sea here at Sail On Board and there’s nothing like setting out on the oceans for the very first time. But what is it about life at sea that keeps people coming back for more? To help answer this question, we have teamed up with the Sail Training International Youth Council to see why they fell in love with the world of Small Ships and Tall Ships. 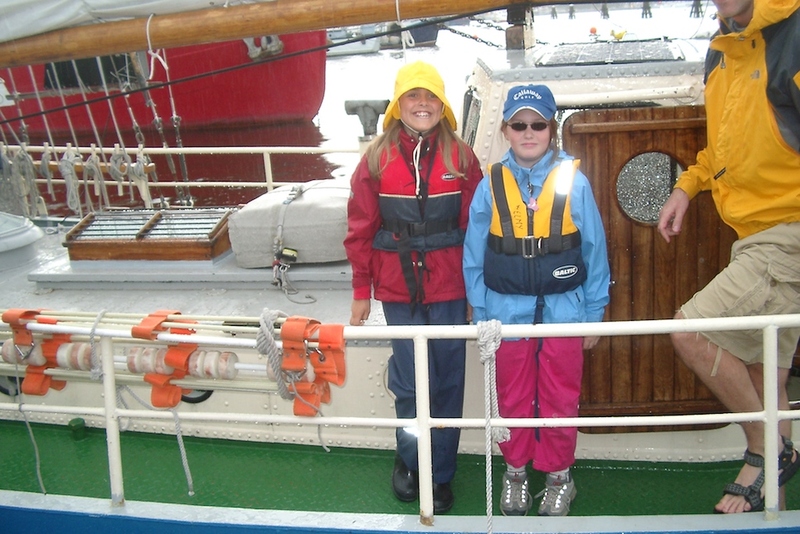 In this series of blogs named ‘Why I Keep Sailing’, members of the Youth Council will share their experiences that have kept the sailing spirit alive for them. Matilda Dagberg took part in her first voyage when she was 10 years old and was hooked immediately. Since then she has sailed on 11 different vessels, Christian Radich (Norway), Tre Kronor af Stockholm (Sweden), Georg Stage (Denmark) and Stad Amsterdam (Netherlands) are just some of the ships she has sailed on as trainee, volunteer and crew. 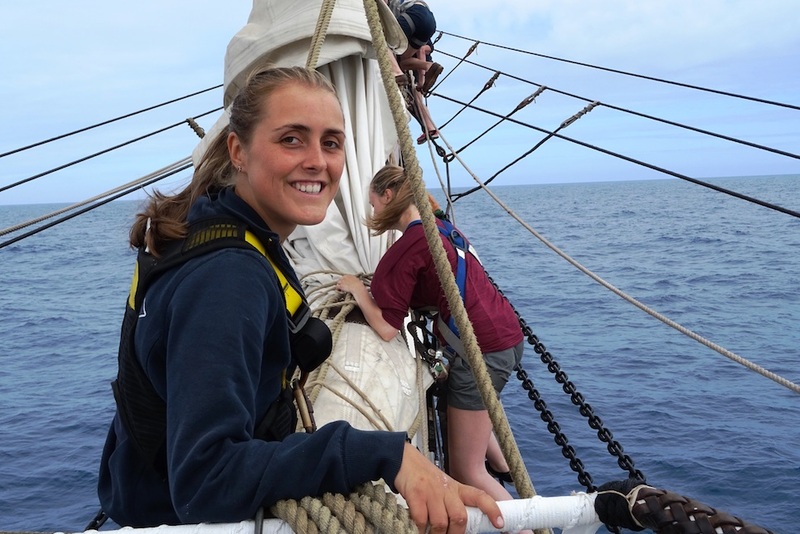 When she is not sailing, she studies business and is the Vice Chairman and Swedish representative for the Sail Training International Youth Council. I’m going to take you on a night watch just off the Spanish coast onboard the Norwegian Class A Tall Ship, Christian Radich. It is 4am on deck and you are met by the other watch that are ready to go to bed. All of the crew are excitedly joking, so you get to start your shift laughing. All sails are set on this magnificent square rigger and a warm Spanish wind is blowing steadily from the aft bringing perfect weather for only a t-shirt and shorts (for a Swede this is magic in itself, a t-shirt at night??). In the middle of the ocean there is no light pollution so you can see all the stars, and I mean ALL of them. The wind has not shifted lately so we sit down on deck to do a little teaching, but soon enough we end up on our backs just looking at the stars. There are so many of them that it seems unreal, almost magical. It’s one of those moments that you never want to end and yet this particular night just kept getting better and better. Are you feeling inspired to keep sailing after your first adventure at sea? Not sure where to turn to for help? There are many ways you can continue enjoying a life at sea – and we’ve detailed below some of the different routes to get back out on the water in no time across a variety of countries. All of a sudden the lookout calls “dolphins at the bow”. In the darkness of night that can only mean one thing, the dolphins are swimming in bioluminescence! For those of you that have never seen this, it’s as if the millions of stars in the sky seem to become part of the ocean. Anything moving in the water will light up, this means the bow wave from our ship glitters and shines. The dolphins move with ease in the water, playing at our bow. They light up like diamonds and it’s as if they have long flowing, glittering hair. The sight of them is enough to make anyone believe in mermaids. When they eventually leave us as glittering streaks in the water, they take the stars above with them and replace them with the grand colourful beauty that is a sunrise at sea. It’s as if the whole world wakes up and the sky turns into a beautiful painting, mixing with hues of pink and orange. Then when the sun finally rises it’s as if the entire ocean has caught fire. The magic of sailing isn’t all about sunrises and stars, I won’t lie to you, sometimes it’s rainy and cold. Those days are special in their own way though, or I would never have kept sailing. The magic lies in the moments, the moment when your new friend opens up and tells you really personal stuff or seeing them and your fellow trainees grow more confident. 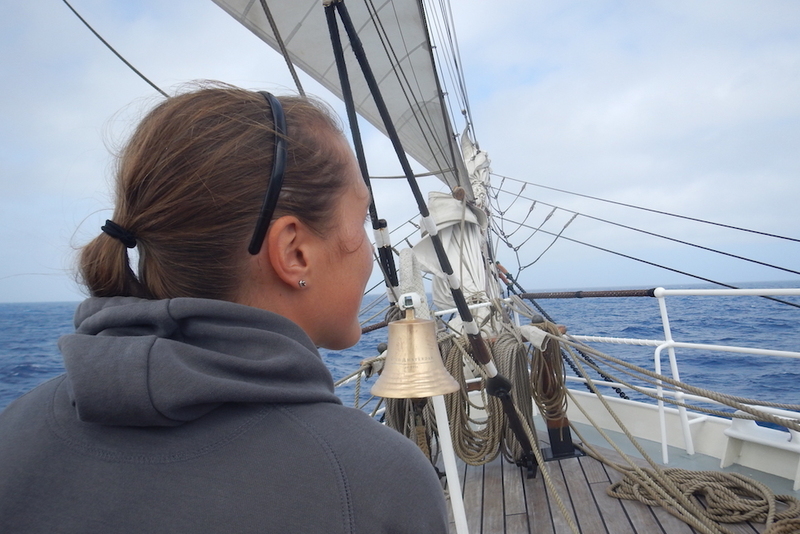 It’s in the wordless teamwork, the caring shipmates and the power of the wind in the sails of a Tall Ship. What really captures the magic of sailing though, is when all those moments come together. The calm days and the stormy, the people from all over the world and the amazing experiences. This is why I sail, because the magic never ceases to amaze me! There are many ways you can find another Tall Ships adventure, with voyages taking place around the world, and one of the most popular options is to take part in the Tall Ships Races. 2019’s event will see the majestic fleet visit Denmark and Norway as they sail from Aalborg to Fredrikstad, Fredrikstad to Bergen and Bergen to Aarhus. The event will show you some of the fantastic sailing the North Sea and Scandinavia have to offer and exhilarating celebrations in each city you will visit. You can take part in any of the races that inspire you or the whole event! Check out our dedicated event page to find out more about the adventure on offer, the participating ships and the amazing cities we’ll be visiting.